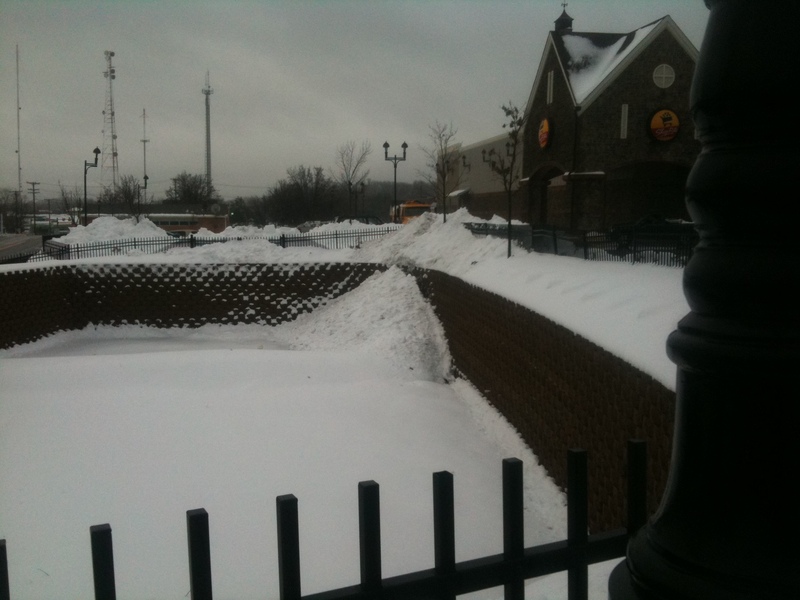 Here in the Mid-Atlantic and Northeast, a popular alternative use for stormwater management facilities is snow storage. A sure sign of the need for Springtime! 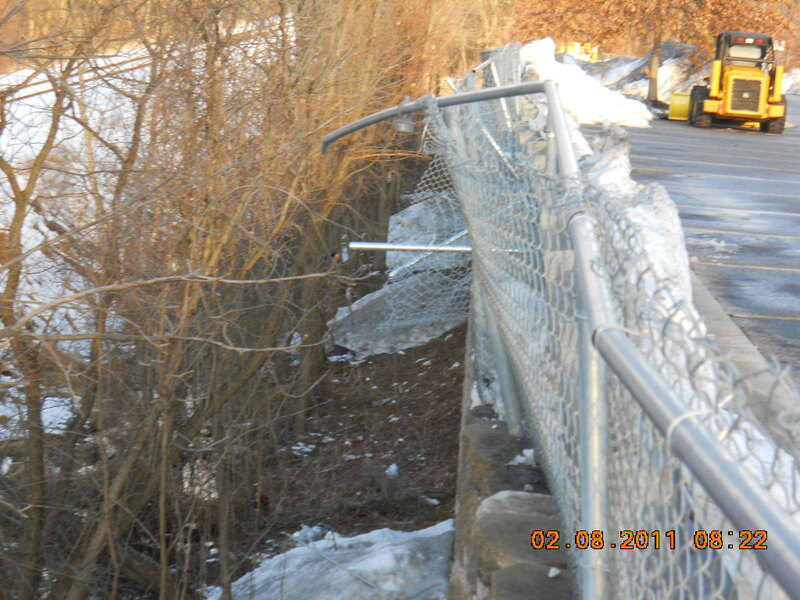 Note to Property Managers: Make sure your snow removal contracts have you covered for this type of damage! do your state regs allow this? In VT, we are explicitly told that this is a no-no. Unsure of the actual effect that snow storage has on a detention facility, besides the state of the surrounding fences/landscaping. Nice to here input from way up north. Not enough snow in the Mid-Atlantic for regs to address.